The last thing Hlynur Pálmason wants is to talk down to the audience. The Icelandic director, who graduated from the National Film School of Denmark in 2013, thinks films should be demanding because life is demanding. Seven Boats is on the bill for Toronto's international short film programme. A man in a fishing boat at sea against a distant black and white horizon. Sounds of splashing and heavy, laboured breathing. A slow pan reveals another boat and two fishermen pulling a net out of the water. The splashing sounds return. Someone is gasping for air. A cliff towers, and a new boat appears in the frame. That’s the opening sequence of Hlynur Pálmason’s Seven Boats, which at 9 minutes 53 seconds takes its sweet time telling its compact story in a few simple moves. The patiently panning camera reveals more boats. As the film unfolds, the chilling premise is laid bare: a man is in the water, wreckage from his sunken craft floating around him. He is surrounded by fishing boats, but no one helps him out of the icy water. On the contrary, when he gets too close, a fisherman pokes him with an oar. Only toward the end of the film do we actually see the man. Until then, his desperate breathing, the sound of exhausted swimming and the fishermen’s reactions are the only evidence we get that a person is being left in the lurch. Pálmason is hard pressed to say exactly how the idea for the film emerged. He grew up on the coast outside the small Icelandic hamlet of Höfn, where Seven Boats was shot, and he fished with a net when he was younger. One of the film’s fishermen is played by his father-in-law. Obviously, the 29-year-old director is on intimate terms with the country and the culture, and the idea for the film had been simmering in his head for years. “I could picture the whole thing. I knew exactly how it would go and where to shoot it, because it’s in me, this place,” he says, referring to the coastline outside of Höfn. He wrote the whole story in a matter of minutes. Pálmason made a stir last year with A Painter, his graduation film from the National Film School of Denmark. The film, about a self-absorbed artist who gets a visit from his neglected teenage son, was praised for its originality and subtle satire. Still, his first few years in film school were not easy. “The instructors didn’t get what I wanted to do. They thought it was too weird and different, and they didn’t believe in it at first.” But around the halfway mark, they started to see where he was going. “They could tell that I wasn’t trying to provoke in any way. After all, the way you make films reflects your temperament. One of the most important things a film should have, I think, is temperament … It should reflect the way you look at things – it should be personal,” the director says. Overall, Pálmason is highly intuitive in his filmmaking. In the process, he lets his gut instinct take over and just follows it. “I am confident that, if it works for me, it will work for the audience,” he says. Following his gut, he stripped Seven Boats of dialogue and colour. 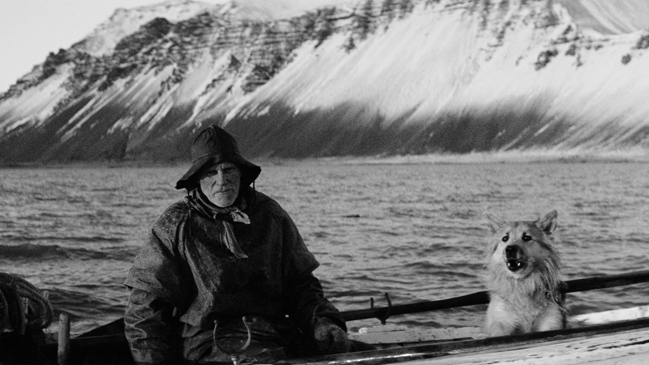 For Pálmason, Seven Boats is not an Icelandic story but a universal one. Above all, it should give the audience an experience, preferably a physical one. With that power comes responsibility, Pálmason says. A filmmaker should not be afraid to challenge his audience. We don’t know why the man is in the water or why the fishermen aren’t helping him out. In fact, the absence of an explanation is one of Pálmason’s points. “Film is a very powerful medium: it can provoke the audience or make them happy, but it can also make you feel like you’re being talked down to. If the story is over-told, for instance. Then I always think: Is there a place for me in this? Why am I spending time on this when it asks nothing of me? Films should be demanding because life is demanding,” he says. Pálmason likewise gives a wide berth to anything smacking of morals or messages. Seven Boats, selected for the Short Cuts International programme at Toronto Film Festival, is produced by Julie Waltersdorph Hansen, Anton Máni Svansson and Per Damgaard Hansen for Masterplan Pictures. Director Hlynur Pálmason, born 1984 in Iceland, moved to Denmark in 2009 and graduated from the National Film School of Denmark in 2013 with the well-received A Painter, a film about an egocentric artist whose carefully crafted universe is ruptured by the unexpected visit of his son. Pálmason is currently working on his first feature film. 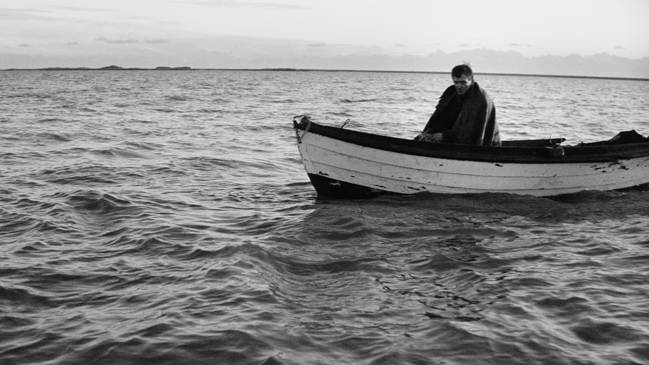 His short Seven Boats screens at the 2014 Toronto Film Festival. The Nordic nations have traditionally been close partners in the area of film, and that’s also true for Denmark and Iceland. 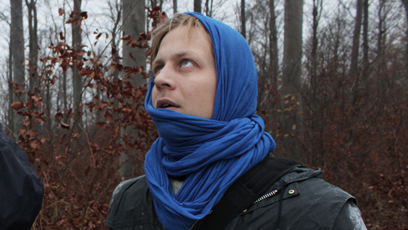 Dagur Kári will soon be releasing his fourth feature, Fúsi. After graduating from the National Film School of Denmark in 1999, Kári had big success with his debut feature Nói Albinói (2003). His Dark Horse (2005) world premiered at Cannes, after which Kári embarked on the US production The Good Heart (2009). Kári is one of the directors behind the Nordic filmmaking collective Creative Alliance, which also numbers Thomas Vinterberg, Lone Scherfig, Per Fly, Janus Metz and Ole Christian Madsen. Rúnar Rúnarsson, who took his debut feature Volcano to the Directors’ Fortnight at Cannes 2011, is preparing his second feature, Sparrows, set in Iceland’s spectacular Westfjords. By the time he graduated from the National Film School of Denmark in 2009, Rúnarsson had already received an Oscar nomination for his short film The Last Farm (2004), and his two award-winning student films 2Birds (2008) and Anna (2009) had both screened at Cannes. Guðmundur Arnar Guðmundsson graduated in fine arts from the Iceland Academy of the Arts in 2006 but quickly moved into filmmaking. In 2013, he received a Special Mention at Cannes for his short film Whale Valley, produced with support from the Danish Film Institute. Guðmundsson has spent spring and summer at the Cannes Festival’s Résidence programme in Paris developing his first feature Heartstone, a story set in Iceland to commence shooting next summer.